Allies win initiative this time. charging into the Grenadiers on the eastern flank. 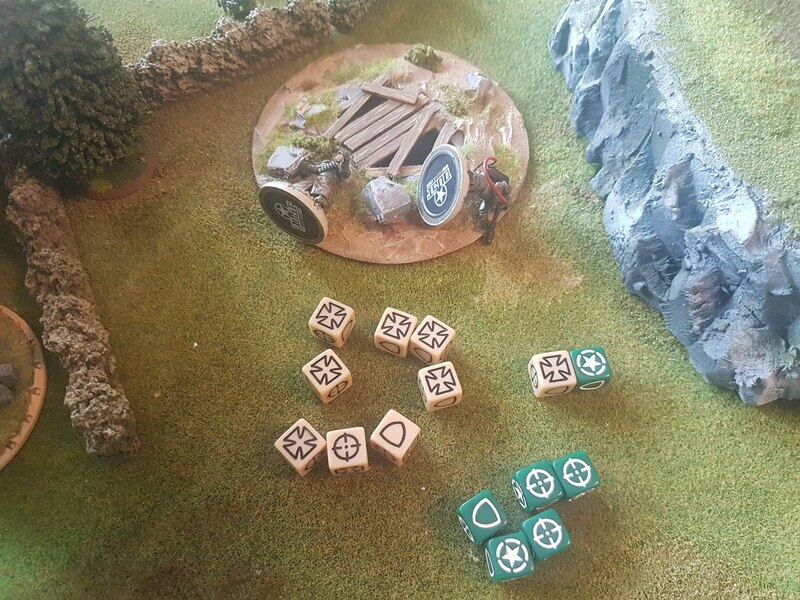 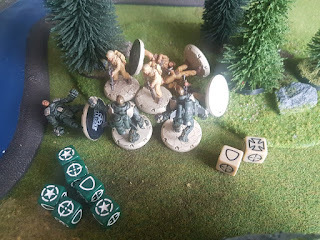 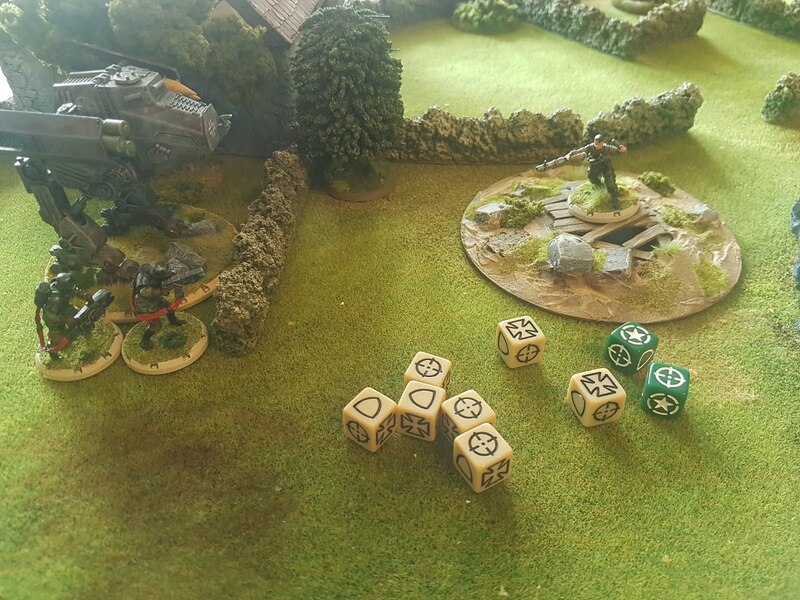 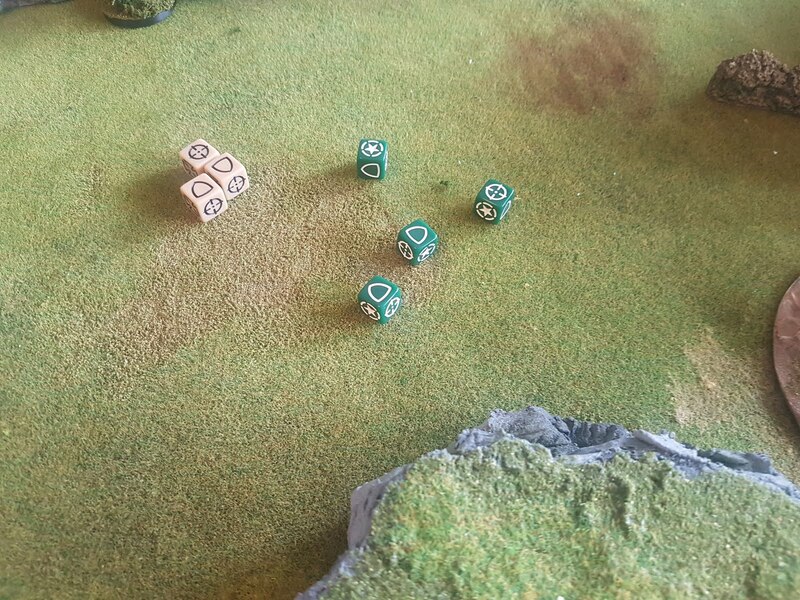 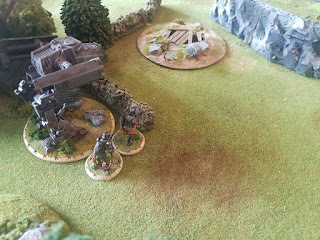 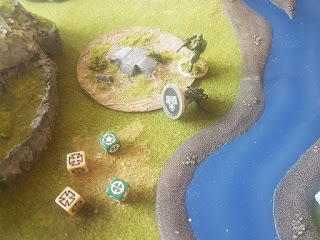 the Rangers kill 3 of them for a single casualty in return. the way to claim the eastern objective. and fired at the Rangers claiming the objective. 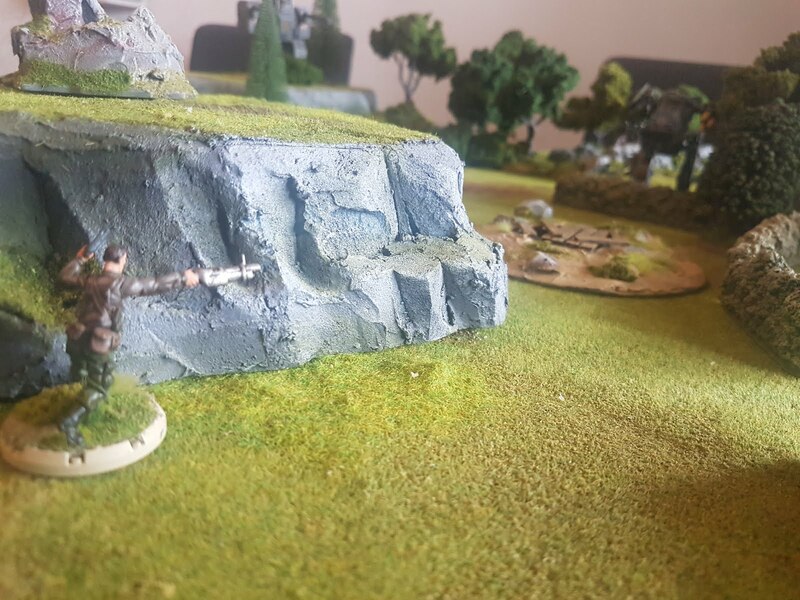 Only the Laser Gun was in range, but it missed its target. 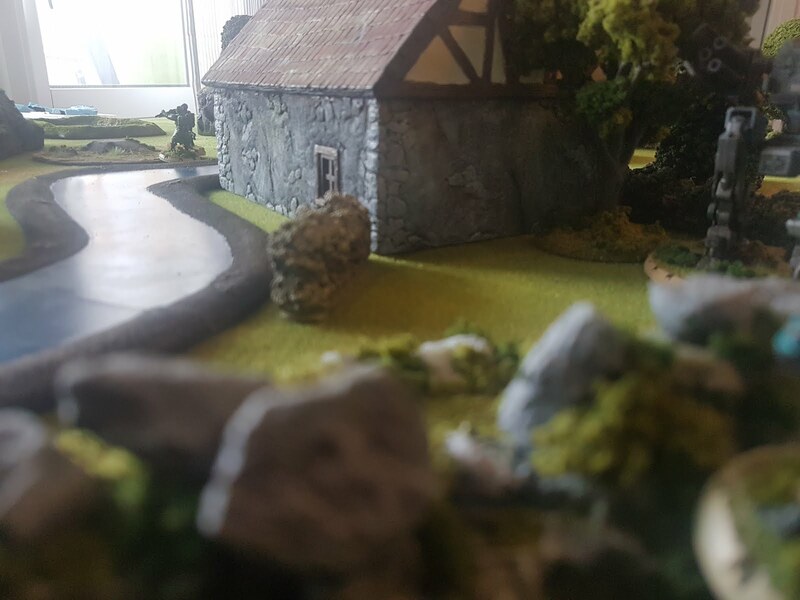 a nearby hill. This was the final activation of the Allies. 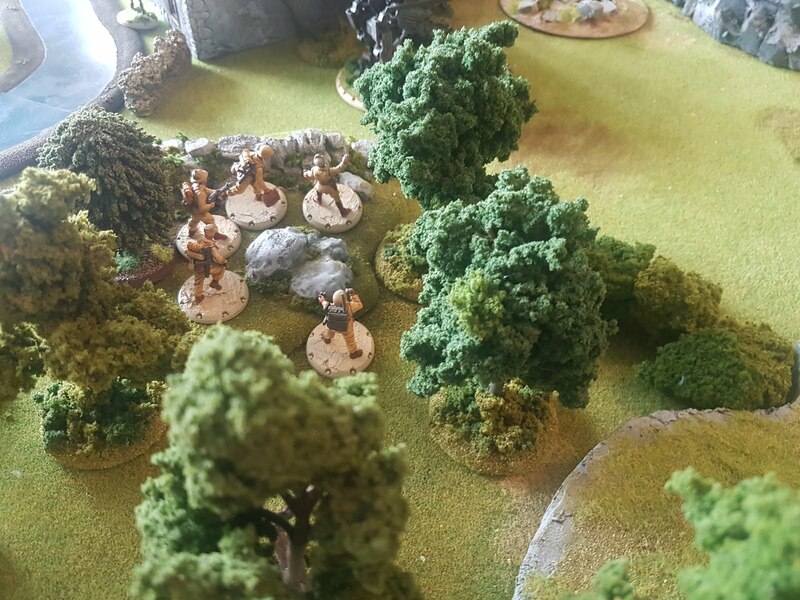 moved to attack the eastern flank next turn. decided to attack them with their Machineguns. 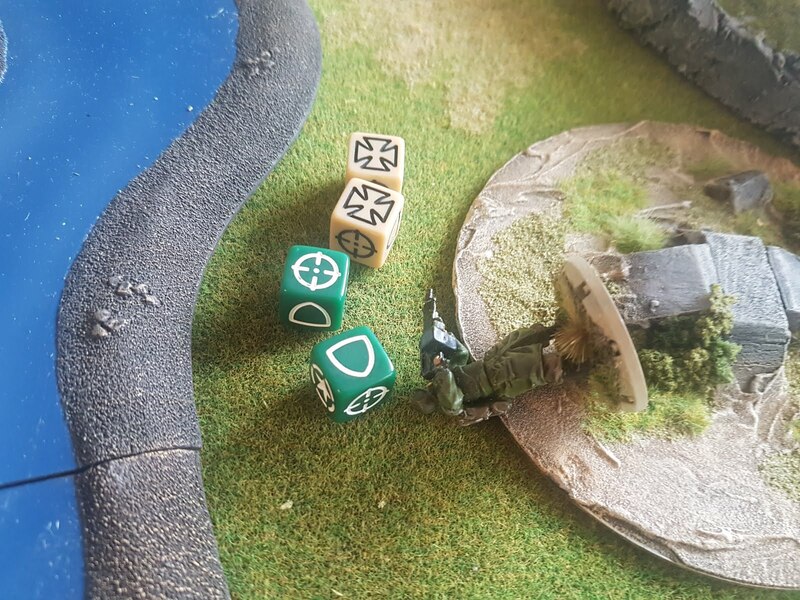 With a hail of bullets, they killed both Rangers. 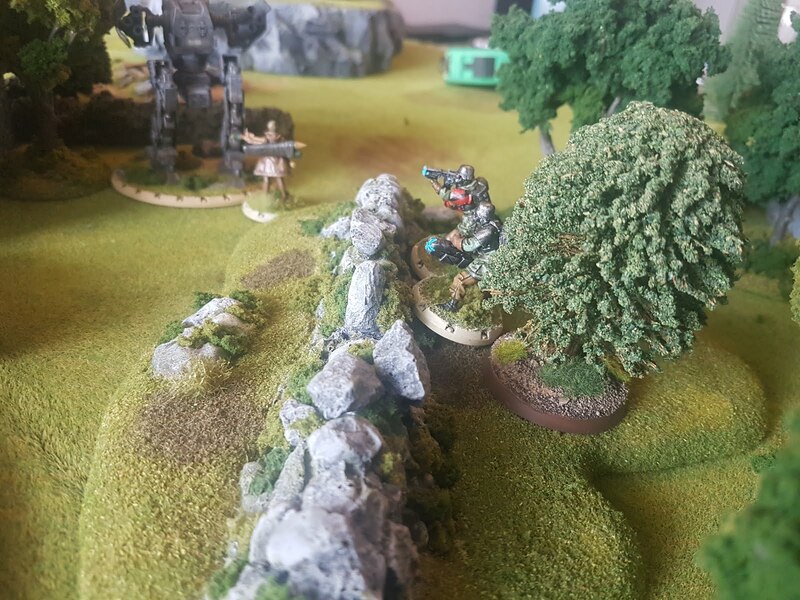 their Reactivation Order on the Hans walker. 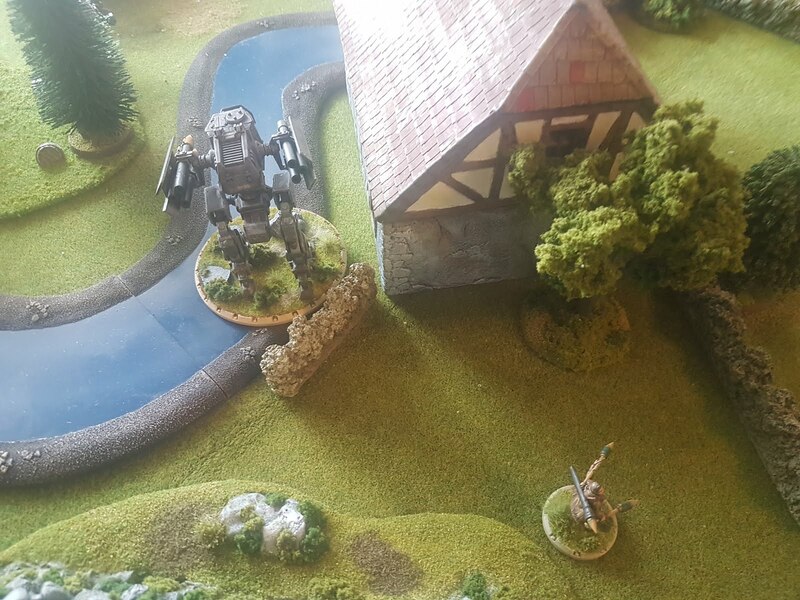 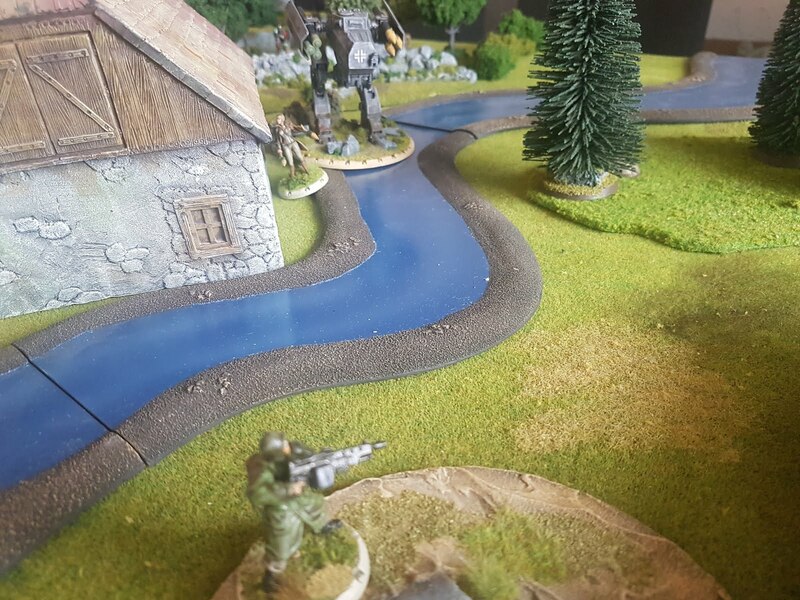 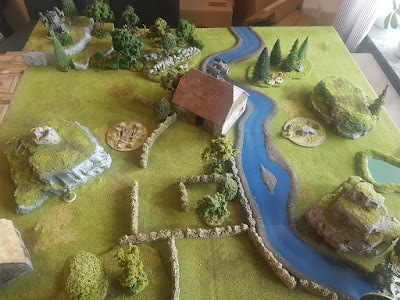 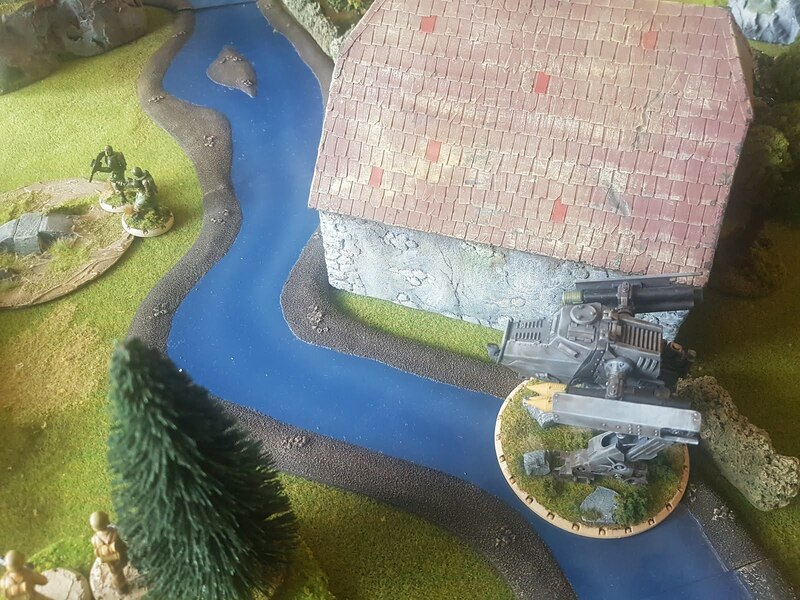 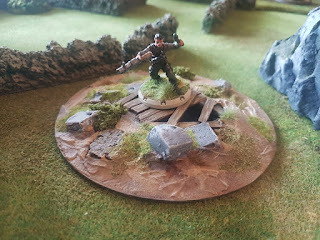 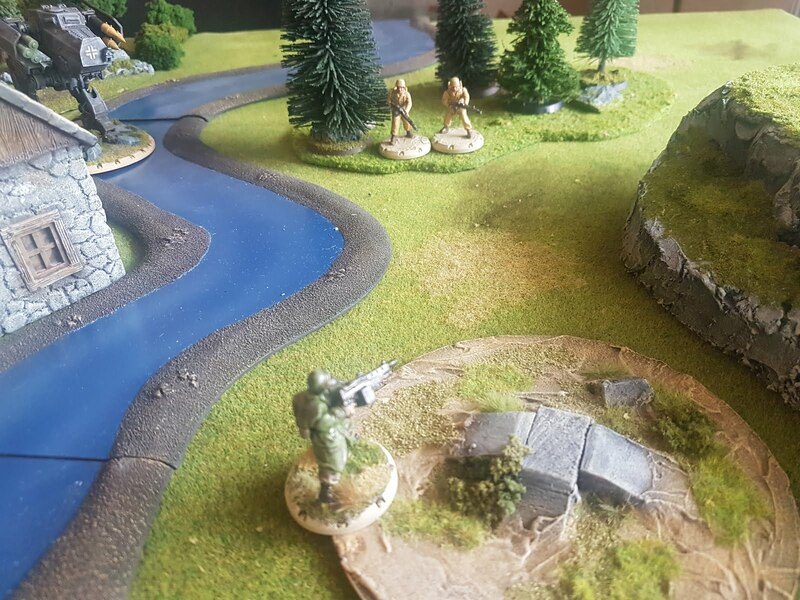 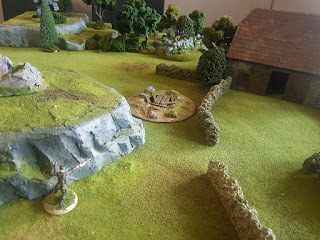 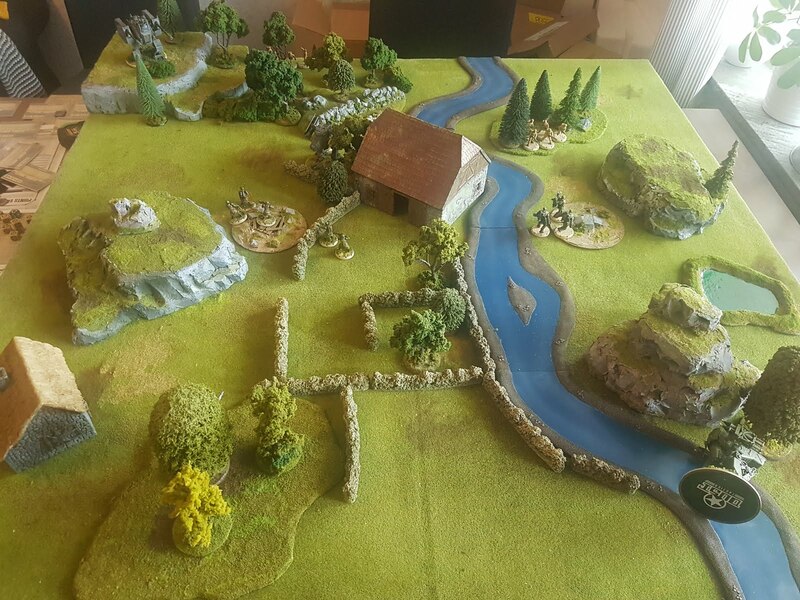 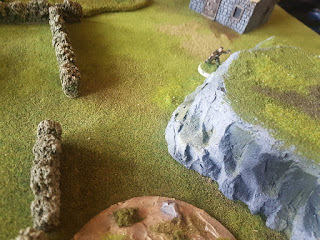 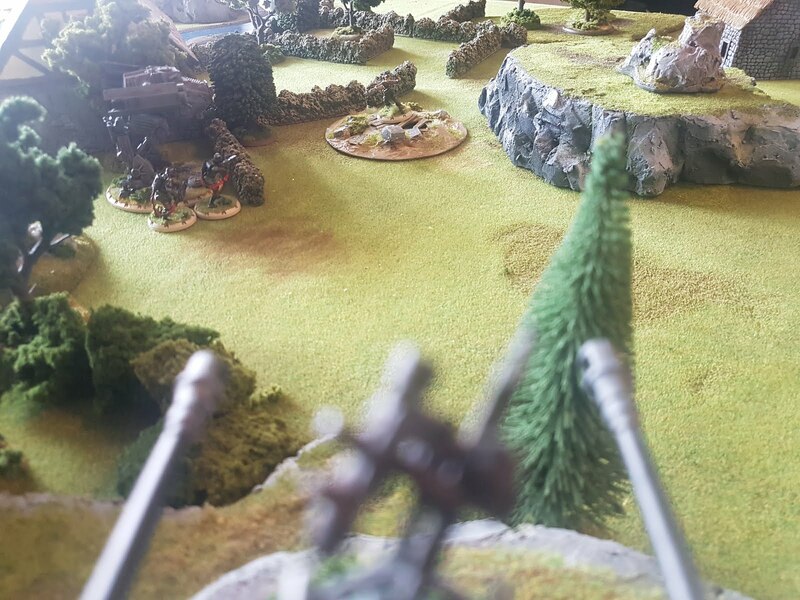 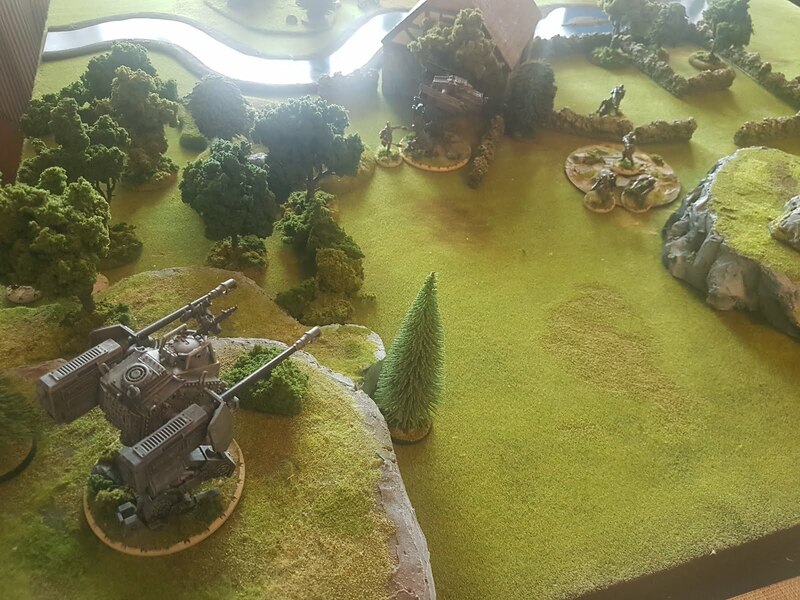 the Allies off the objective this turn. 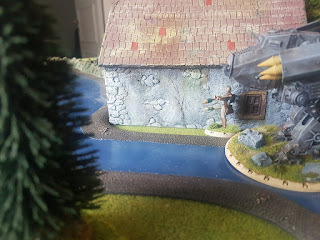 to the other side of the barn where she could fire at the lone ranger. 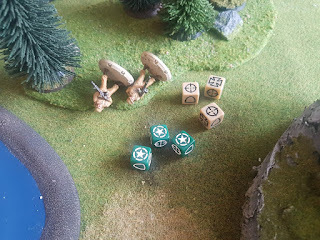 was saved by the Ranger's Infantry Save. 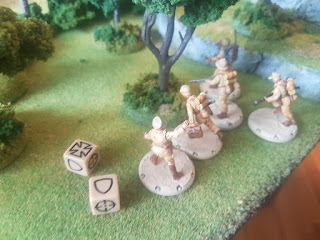 The Allied had enough Victory Points to at least have a draw. 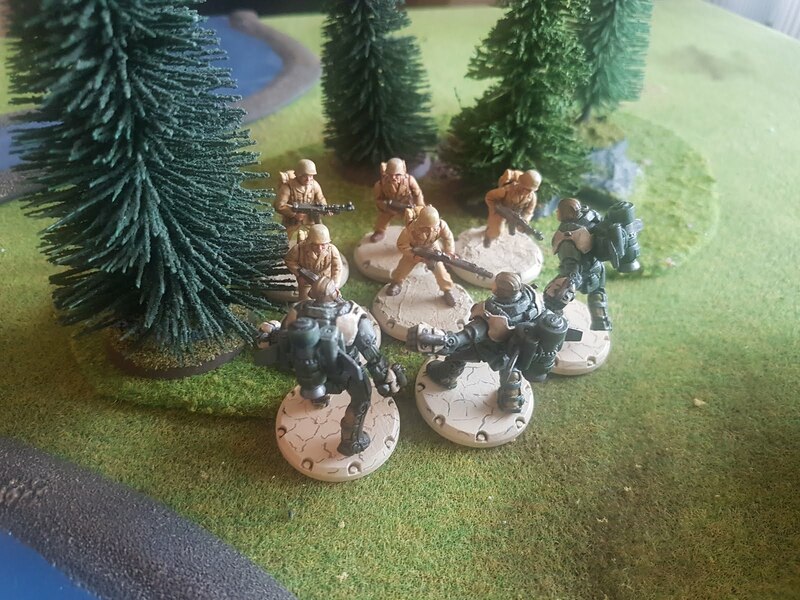 With only two models left, it would be tough to achieve victory. But one of the two survivors was Bazooka Joe, after all! 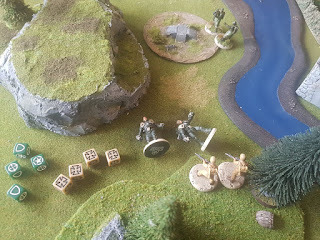 The Allies won initiative in the fourth turn. Machinegun at the two Grenadiers in the opposite wood. 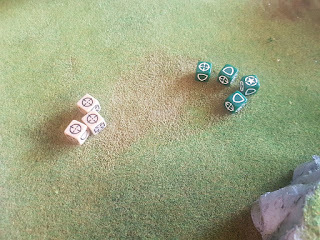 Rolling 3 hits, he killed both of them. 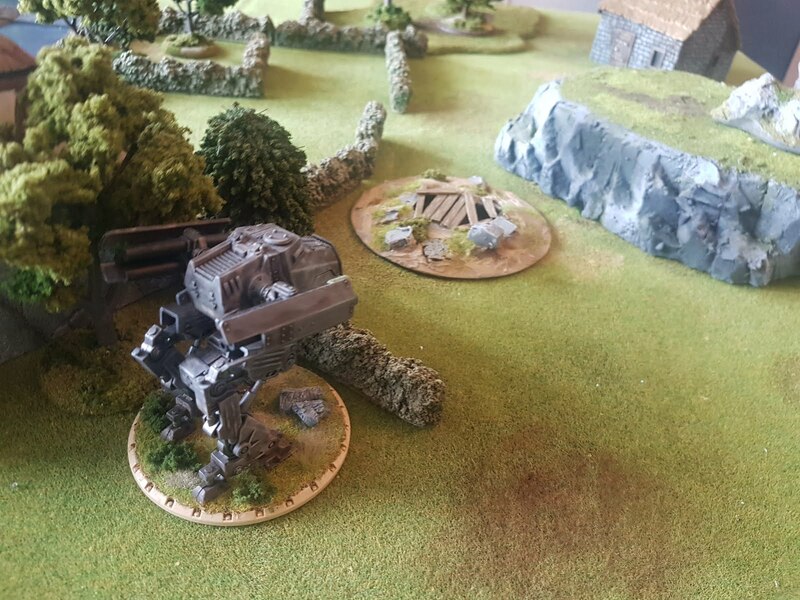 Vengeance! Joe was left standing on the Allied side now! 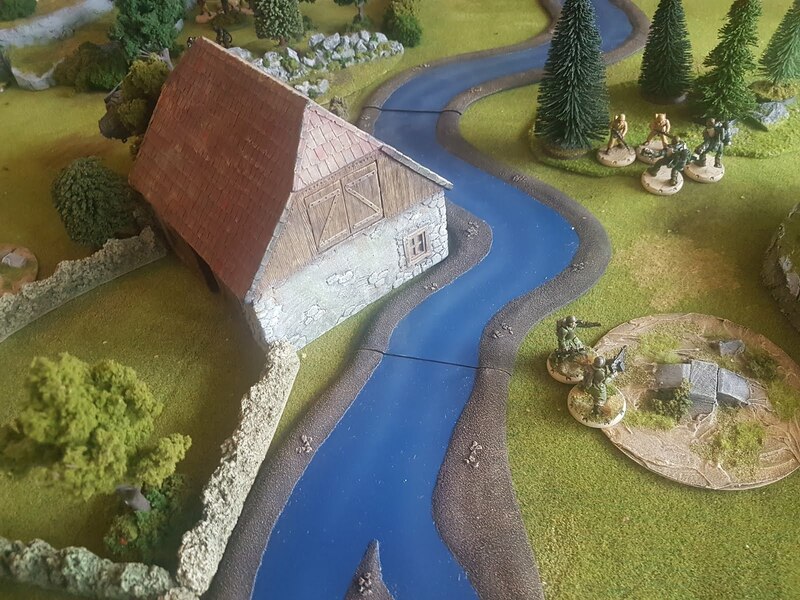 So the Axis moved the Hans back to cover the western objective. 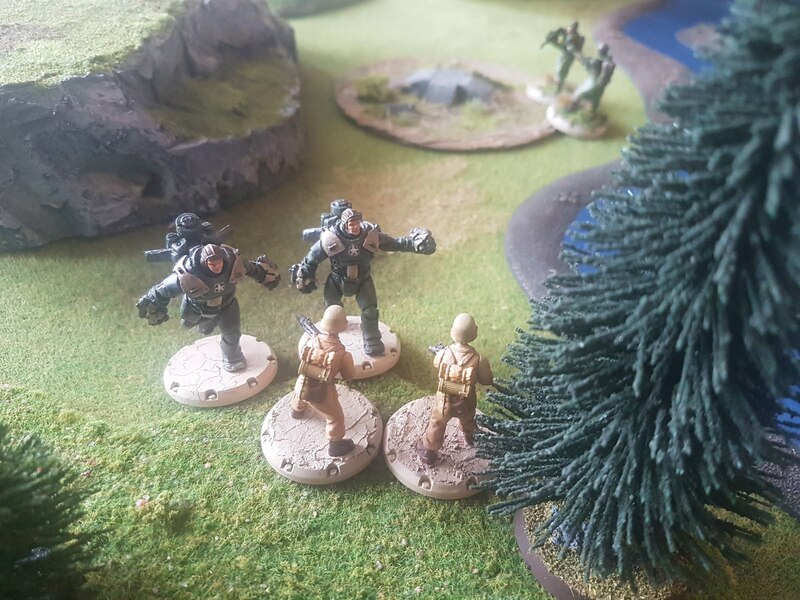 moving them up towards the objective. 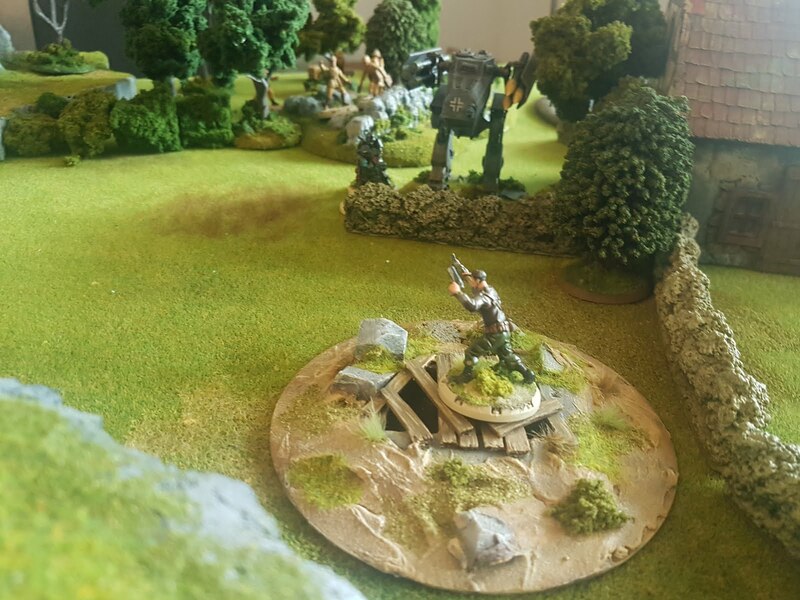 the objective and hope to survive the incoming attack. them up to the edge of the wood. Bazooka Joe then rushes up to claim the western objective. 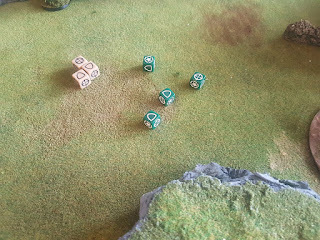 ...only hitting twice and putting 1 wound on Joe. secure a win for the Allies! 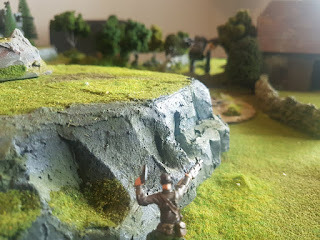 On turn 3 I should have reactivated the Grenadiers instead, with their two Machineguns they would have made short work of the two Rangers on the objective. 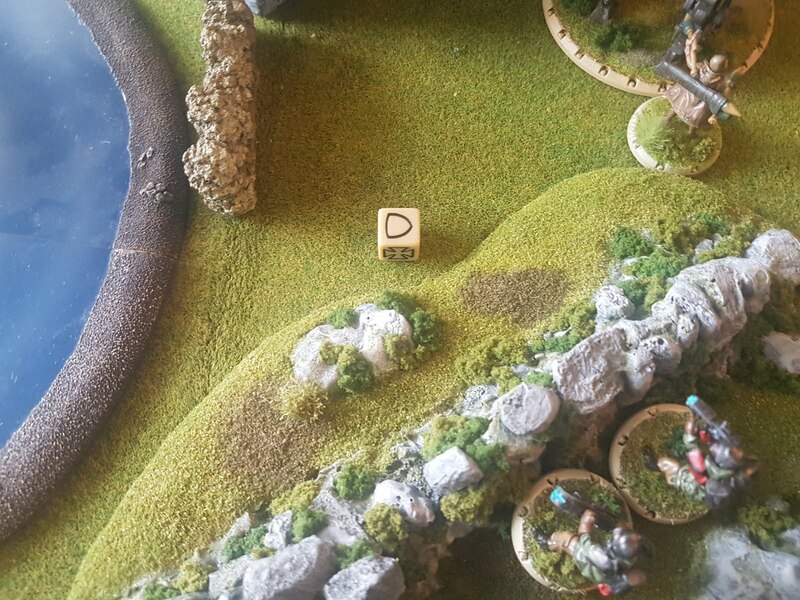 I also should have advanced more units up the board. At first I was content at just killing whatever showed their ugly faces, but this bit back hard in the end when I couldn't threat Bazooka Joe in any way until he claimed the final Victory Point for the Allies. I brought too few long ranged weapons, and not enough anti-tank ones. I felt abit bad passing all those activations at the end, but knew I had to make one final rush and survive to have any chance of winning the game. Luckily the Ludwig that had caused me so much grief during the game, made some really bad shots at Joe.